The creation of the new Peter O’Donnell Jr. Brain Institute at the recognized University of Texas (UT) Southwestern Medical Center, has been approved by the University of Texas System Board of Regents, as announced in a press release. The new institute will be created thanks to a $36 million gift granted by the O’Donnell Foundation. Focused on neuroscience, the new institute is designed to work as a comprehensive center, while it is expected to improve knowledge about the basic molecular function of the brain, as well as translate these findings into new methods to prevent and treat brain injuries or conditions. UT Southwestern is also committed to recruiting world leaders in the field to join the institute. A team led by the recently hired professor of Neurology and Neurotherapeutics, Marc Diamond is already working to advance basic understanding of debilitating brain conditions. 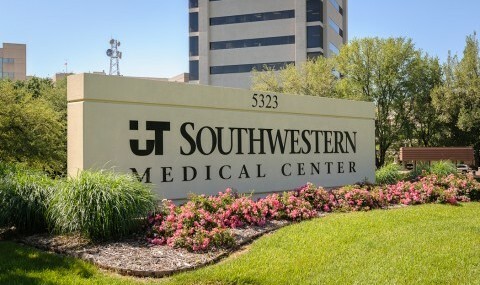 In addition, the university is planning to search for new investors to support advance technology and multidisciplinary clinical programs.“The Institute will serve as the umbrella to bring together the Medical Center’s historic advances in basic research and therapeutic care,” stated UT Southwestern’s president, Daniel K. Podolsky. “UT Southwestern draws exceptionally talented investigators to a highly collaborative, technically sophisticated environment. These investigators have consistently made groundbreaking discoveries in medicine, and now, thanks to the incredible generosity of the O’Donnell Foundation, they will be positioned to make even more dramatic advances throughout the entire realm of neuroscience,” added Podolsky, who is also the Philip O’Bryan Montgomery, Jr., M.D. Distinguished Presidential Chair in Academic Administration, as well as Doris and Bryan Wildenthal Distinguished Chair in Medical Science. UT Southwestern, which is already an established center in the field of neuroscience, expects the new Peter O’Donnell Jr. Brain Institute to enhance their capacities in basic and translation research, as well as in clinical care. The funding granted by the foundation is based on Peter and Edith O’Donnell’s belief in the center’s talent and its ability to build a unique and expert medical school in the region. The O’Donnell Foundation has been supporting UT Southwestern, among other elite facilities in the country, to support promising research. Among the funded research projects is included work being developed by six Nobel Laureates and numerous members of the National Academy of Sciences and the Institute of Medicine at the medical school. “The support of the O’Donnell Foundation recognizes that one of the greatest challenges of our time is brain injury in its various forms. The gift enables UT Southwestern to accelerate progress in injury prevention, novel brain preservation strategies, and restoring brain function lost by injury and disease,” stated Podolsky. In addition, the UT Southwestern Medical Center recently announced the inauguration of another new facility, the Harold C. Simmons Comprehensive Cancer Center, focused on providing the most advanced clinical care and research progress for cancer patients in Tarrant and ten other local counties. The new Moncrief Cancer Institute in Fort Worth integrates the UT institution, which is the only cancer center in the region and is among the only 68 in the country designated by the National Cancer Institute.